I read a lot of posts by young adults who skipped college in favour of self-directed learning, from both unschooling and traditionally schooled backgrounds. 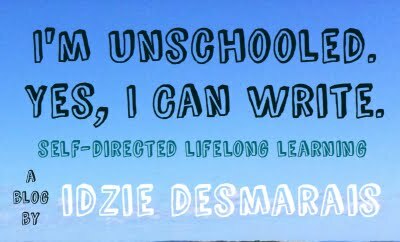 It’s pretty exciting for me to see people discovering unschooling at all different ages, and I love that so many young adults are embracing it! I love to read about the discoveries and experiences of fellow happily unschooling 20-somethings. But I find myself noticing lately how often “uncollegers” talk about the process of their learning, the detailed plans and self constructed curriculum, and I’m struck by how very different my outlook is. It gets me thinking about the positives--and the negatives--in my own learning, and how it compares to others’ experiences. In some ways, I wonder if my own less structured approach is a sign of how long I’ve been unschooling, and how much deschooling I’ve done. Many seem to feel a strong pressure to create something school-like, something to point to and say “look, I’m learning, just like if I was in college!” This is a pressure which, while I sometimes feel it, it doesn’t really affect my learning. I’ve been an unschooler for so long that I’m very aware of how ever-present learning is, so I notice and appreciate how much I’m learning and growing without needing to justify the validity of my education, at least to myself. On the other hand, I think a little more planning would do me good, and maybe a little more thinking about my learning. I’d like to have a posting schedule on my blog, and manage to convince myself that self imposed deadlines are still “real.” I’d like to get better at saving and organizing all the articles I read on a variety of subjects every day. I’d like to get better at networking with like-minded people in my local communities. 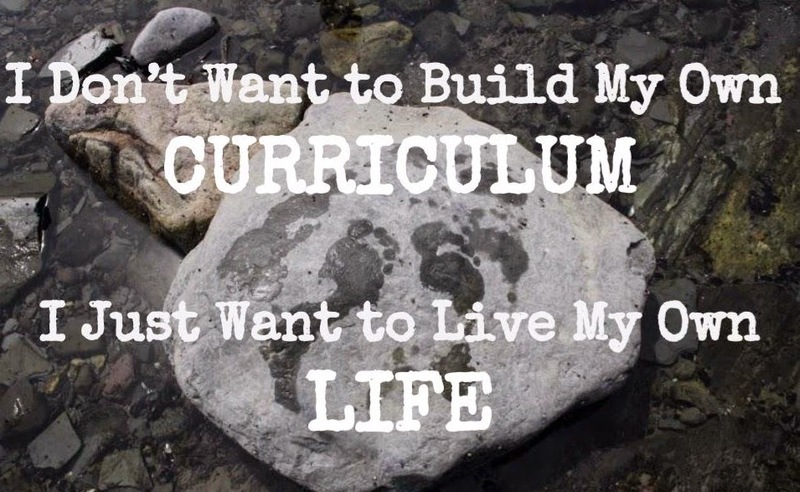 But when I start questioning whether I’ve been approaching my college free life learning in the best way, the conclusion I find myself coming to is that far more important than building your own curriculum, or getting caught up in all the details of your “education,” is understanding what you want from your life. Knowing your strengths, your weaknesses, your values, and what type of person you want to be. If you know the answers to those questions, from that base the paths to follow and the steps to take start to become a lot clearer. I know that I’m good at communicating, and feel that that’s a big asset in my life. I’m not so good at consistently putting myself out there in the “real world,” networking, making friends, and getting involved in exciting projects. I find learning in front of other people scary, so I know that taking classes can be a really good way to stretch myself and overcome that fear. I write most prolifically when under the pressure of an imminent deadline, so I know that deadlines provide a certain helpful structure and much needed push when it comes to growing my writing career. I know that I pretty much always regret not trusting my gut, or making sure a situation or opportunity is in line with my values and with who I want to be as a person. Yes, I need to get better at being organized, at being reliable, at producing even close to as much writing as I want to be doing. I’m working on it, struggling sometimes, finding moments of clarity other times. But whenever I start to flounder, detailed planning never seems to help much. Instead, going back to that base, those important questions, taking a deep breath, and setting a few attainable goals seems to be the best course of action so far. Different ways of learning work for different people, and I know for some, the excitement is in the details and organization. Just not for me. I’m still figuring out what I want to learn and do day by day, and I think to some extent I always will be. As we all know, learning isn’t finite: it’s a lifelong journey, an endless series of experiences and choices. My education outside of college isn’t perfect. My life is not exactly what I might want it to be right now. But it’s mine. It’s my choices, my experiences, my values and goals. And it’s something I value deeply. I’m not building a curriculum. Instead, I’m just busy figuring out what it means to live a good life.